Ripple decreased again on the short term and failed to approach and reach a crucial resistance level. It remains to see what will really happen in the upcoming days because this could still be only a temporary drop. It moves somehow sideways on the short term, but personally, I still believe that we could have a significant movement soon. You should keep an eye on the Bitcoin because if it will increase, then the Ripple will jump higher as well. 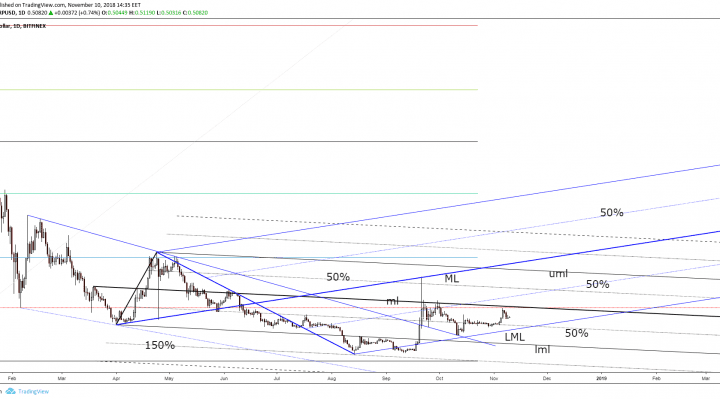 However, the crypto market will crash if the Bitcoin will drop and if it will make a valid breakdown below the 6000 psychological level. 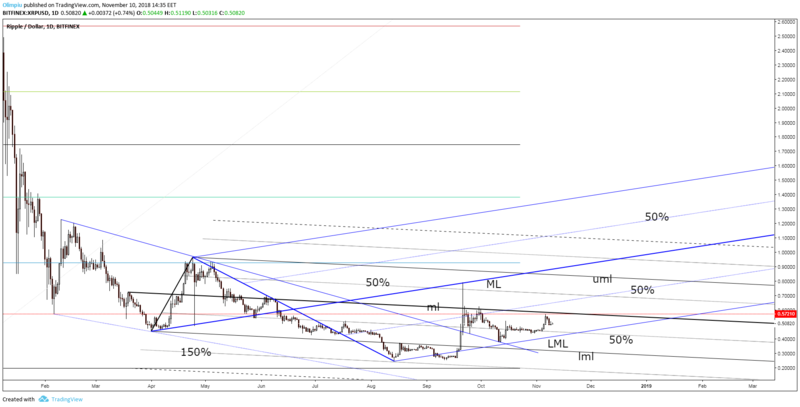 You can see that the XRP/USD was almost to reach the median line (ml) of the descending pitchfork, which represent a crucial resistance. You can see that it has failed to close above it in the last breakout attempts. I’ve said in the previous weeks that we may have a broader upside movement only if the rate will make a valid breakout above the median line (ml), but remains to see what will happen because the rate has shown some exhaustion signs after the failure to climb at least to the downside 50% Fibonacci line of the ascending pitchfork. Price continues to stay above the lower median line (LML) of the ascending pitchfork, so it could still increase as long as the rate stays above this dynamic support. You can notice that the rate has reached the median line (ML), but it has failed to close near this dynamic resistance. You should know that valid breakdown below the lower median line (LML) it will announce a significant drop, but personally, I still believe that the rate will try once again to climb towards the median line (ML) of the ascending pitchfork.